Illiterate mason Jalaluddin Shaikh of Murshidabad in Bengal came to Kochi in Kerala seven years ago. Until November 2016, he earned Rs 22,000 every month, saving Rs 15,000 to send home. Now, he earns Rs 16,000 and he finds work three to four days a week, down from almost daily. Perumbavoor (Kerala): When illiterate mason Jalaluddin Shaikh sought a better life seven years ago, he journeyed nearly 2,500 km south from his home in Murshidabad, Bengal, to this riverine town in the greater Kochi agglomeration, known for its farm produce, plywood and sundry small-scale industries. 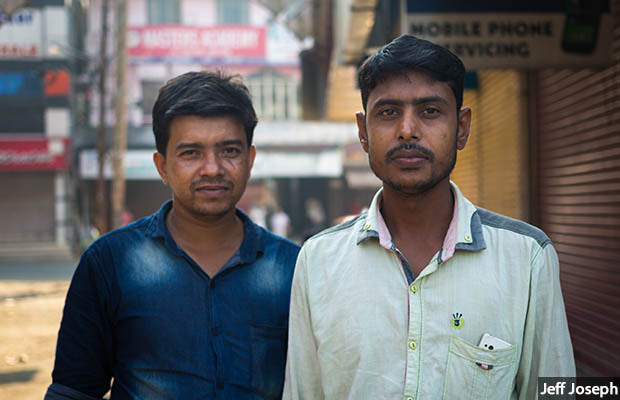 Feroz Shaikh (left), a labour contractor, moved to Kerala from Bengal 19 years ago. Factory owners asked for 15-20 workers per unit before demonetisation, he says. Now, they ask for five. "There is no work." Raju (right), a mason’s helper, also from Bengal, shares a room with 10 others. His income is down by a third since demonetisation and he finds work two days a week, down from five. There is no money to send home. At 8 am on a Saturday, a market once known for its early morning weekend bustle was deserted, save for the three groups of 20 men waiting for daily jobs. 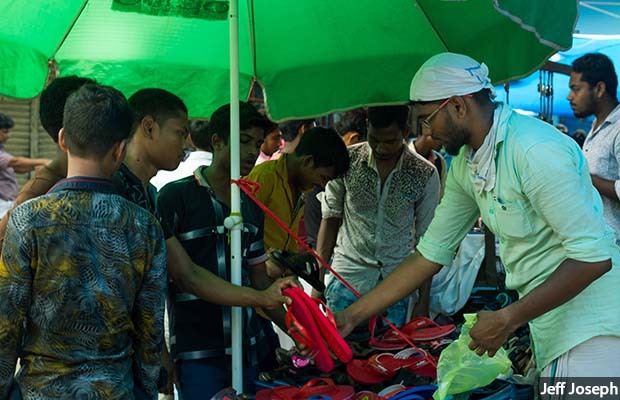 “Until a few years back, Saturday markets were overcrowded,” said Najeeb K, a local vendor of flip-flops. In his early 20s, Najeeb has seen his Saturday sales drop 46% to Rs 8,000 since 2016. “People could barely move around here before,” said Najeeb. “Things have changed now.” That is a view widely held across Perumbavoor. 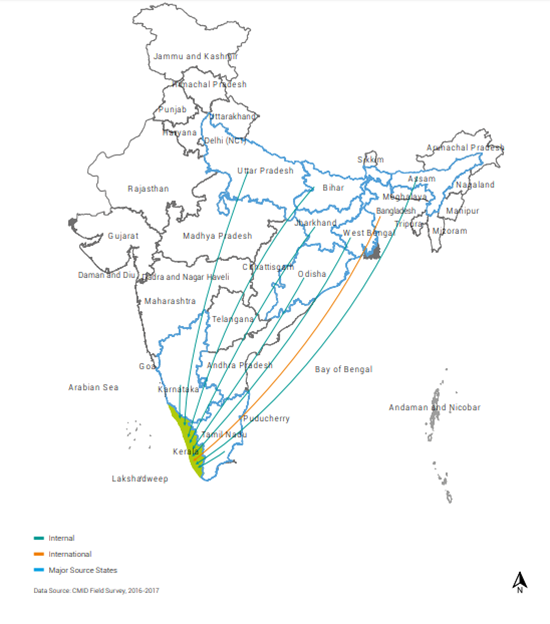 Kerala is an excellent example of how education and literacy lead to labour income arbitrage. The educated youth of Kerala go to Middle East for unskilled jobs. The uneducated youth of Bengal , UP and Assam come to Kerala to work as unskilled workers. The seventh richest state has wages fixed by labour unions. So, labour contractors cannot bargain for lower wages like other states. This is a case study of how socialistic leanings of a state can actually improve the lot of its people. Unemployment and reduced jobs have hit Kerala as we can see cutbacks on demand from consumers. Demand picked up post floods in 2019 but largely in construction and consumer durables. The problem in this region, as well as in some other regions, was that industries were working totally out of the purview of tax and labour laws. They could not adjust themselves to fit into the tax system. Every economy has a downtrend. Even the world’s greatest country has faced the same situation.. be frugal and save when the going is good. One has to save 10% of earnings. I t is easy to blame others. IndiaSpend has a great opportunity to stick to data rather than rambling narratives. There are almost 2,500 words here and 10 other parts? You are fighting the good fight but no one is going to read it. Take that opportunity to really use data (properly and impartially) to enlighten readers or you will lose them.